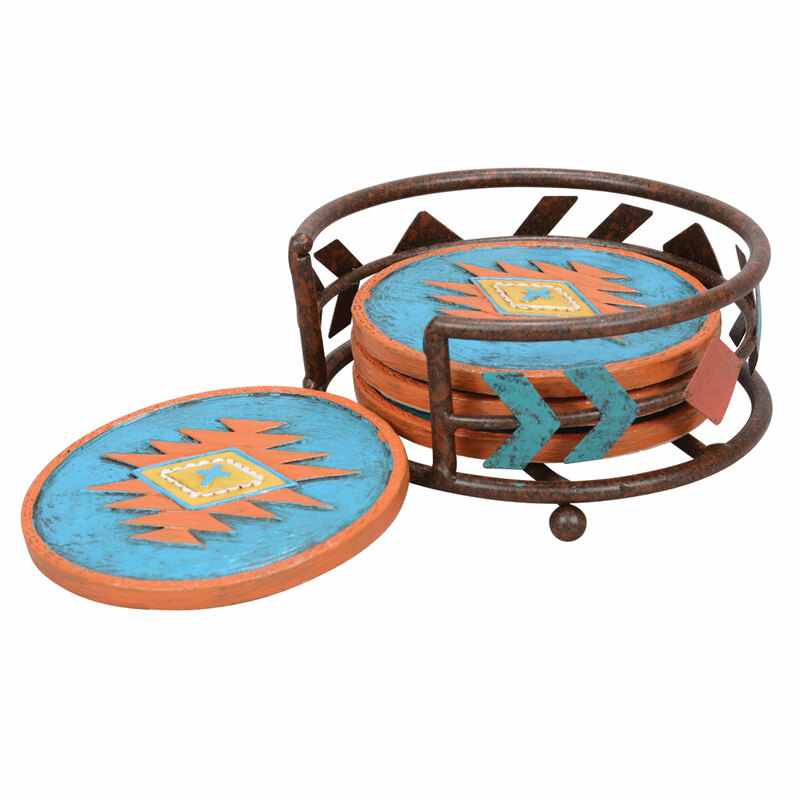 A Lone Star Western Decor Exclusive - This polyresin coaster set in shades of turquoise and terra cotta protects your tabletops with southwest style. Four coasters and metal holder included. 4 1/3"Dia..